I was looking at a pair of tiny green islands protruding from the Caribbean Sea. 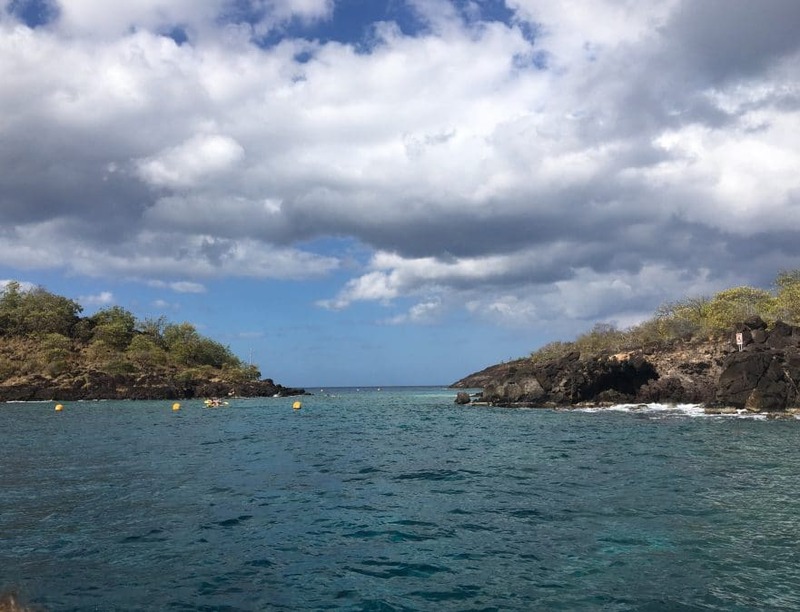 Our guide explained that they were far bigger below the surface – what we could see was just the tip of two underwater mountains, providing sheltered water where all manner of marine life thrived. I peered down at the shimmering sea. From where I stood, no visible clues betrayed what lay underneath. But the sun was hot and the water looked inviting, so I was eager to jump in. We put on our snorkelling gear and tumbled off the side of the boat. As I ducked underwater I was astounded. Slipping beneath the surface was like entering another world. I literally couldn’t believe my eyes. It was truly the most beautiful sight I’ve ever seen. The vivid colours and distinct patterns of tropical fish, darting between rocks, created a constantly evolving, spectacular display. Luminous fish weaved through intricately shaped corals, sponges and seaweed. Multi-coloured shoals let us swim peacefully alongside them in their strange and wonderful underwater habitat. I couldn’t get enough, it was one of the most incredible experiences of my life. I felt completely connected to nature and I wanted to never leave. But, of course, I eventually had to. I’ve always loved the sea, and nature, but this experience (in February 2019) took it to a new level. Knowing that there are such amazing places left on our planet that aren’t yet completely ruined by humans, has made me more determined than ever to do everything in my power to protect them. I was lucky not to see any plastic in the sea that day, but that doesn’t mean it wasn’t there. I’d seen plenty of rubbish on land. The roads and wooded areas that ran alongside the beaches were strewn with litter. Without a massive organised clean up effort, and of course action to stop more single-use plastic litter accumulating there, all that mess will eventually end up in the sea. If we had analysed water samples from the coral reef we would have undoubtedly found microplastics. They have been found everywhere scientists have looked; from the darkest depths of the Mariana Trench to the remotest reaches of the Arctic. We don’t yet know how dangerous these are to fish and other marine life, and ultimately us. But we do know they absorb other industrial pollutants in the ocean, such as PCBs, that were banned in the 1970s but still persist in the marine environment today. And we know that these toxins compound as they move up the food chain. Many of us watched the poignant scenes in Blue Planet II, of a grieving mother whale hugging her dead calf, unwilling to let go. She had been carrying it around for days. Sir David Attenborough thought it was probably poisoned by her contaminated milk, caused by industrial and plastic pollution in the sea. The next large mammals to be affected could be us. We don’t have to travel to the Caribbean, the Arctic, or the infamous Great Pacific Garbage Patch to see evidence of how plastic is polluting our planet. We can see it any time we go for a walk near our homes or work. We use too much plastic, so it is spilling out into nature. And because it lasts for hundreds of years, the problem is compounding daily. Yet, widespread plastic pollution is a relatively recent phenomenon. Twenty years ago, you wouldn’t expect to find plastic litter every time you went to the beach or a remote natural place. Today’s children are growing up seeing plastic in nature as normal, in a way that most adults never had to. The equivalent of a truck load of plastic enters the oceans every minute. When plastic gets into the sea it causes havoc for marine birds and wildlife; entangling, choking or starving them, as it fills their stomachs leaving no room for real nutrition. Whilst the suffering happens at sea, the problem starts on land, with us and our everyday actions. So, the solutions lie with us too and a shift in thinking, leading us to make better everyday choices. Single-use plastic is convenient in the short term but it’s not logical to use a material designed to last forever for a product designed to be used once. Do we want to continue prioritising the fleeting convenience that a piece of single-use plastic offers over protecting the long-term health of people and planet? If we are going to have any chance of saving the beautiful natural places still left, for the sake of our survival as well as our enjoyment, we have got to stem the flow of plastic pollution. And the only way to do this is to tackle it at source. We can turn off the plastic production tap, by reducing demand through learning to live with less plastic. We are only on this planet for a short time. There’s no escaping the fact that the clock is ticking for each and every one of us. So let’s do something important, something that really matters with our limited time. Let’s leave a more positive legacy for today’s children to inherit. Could you spend a moment reflecting whether you are already doing any of these in your life? Do any of these tips jump out as things would be willing to try? 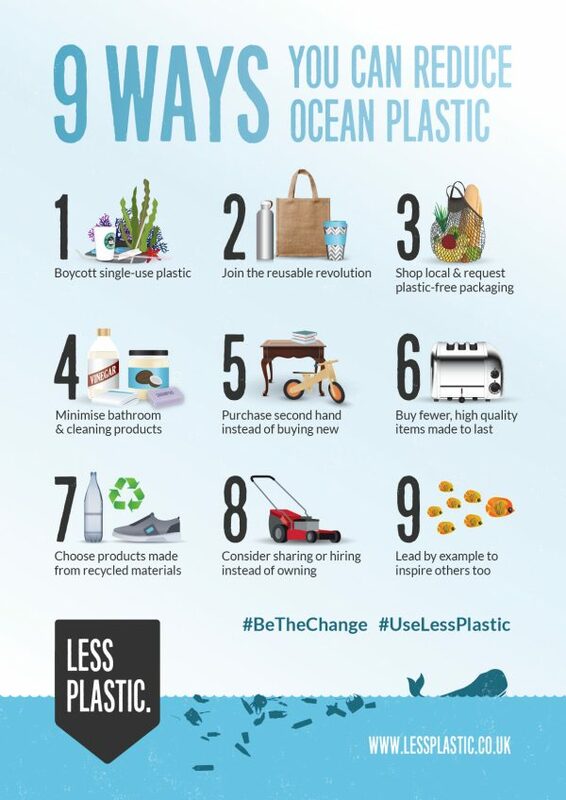 Once you see the benefits, for you personally as well as the planet, choosing to use less plastic will become something you commit to, it will become part of your identity. Whilst we can all make a difference as individuals, any action you take at organisational-level has the potential to be game-changing, because of the scale of what your organisation does. The fact is, most organisations use too much plastic. It’s become a cheap, easy, quick-fix habit; but it’s NOT a necessity. 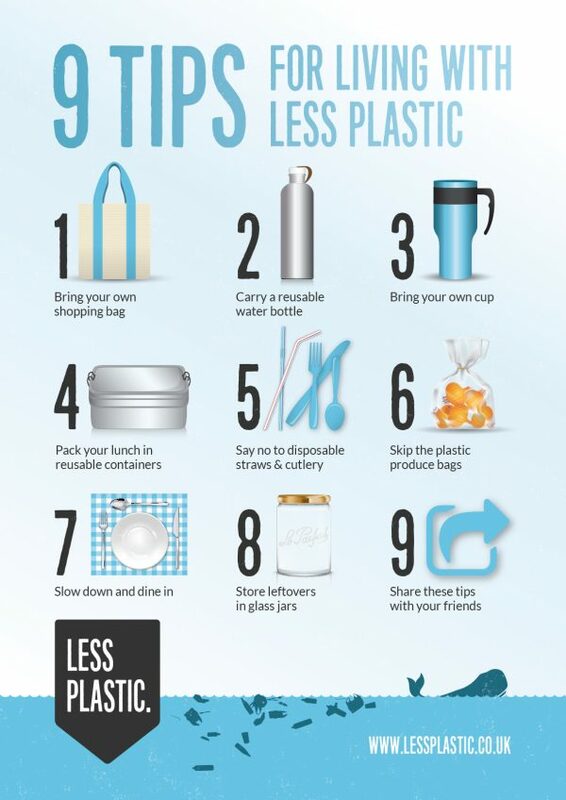 It’s time to challenge yourself and your colleagues to think more creatively, to reduce plastic use in your organisation. And it’s perfectly possible to make your plastic reduction project cost neutral, or even benefit from cost savings and/or increased revenue derived from using less plastic. Could you write them down now and commit to them? Maybe you’d like to publicly share them on social media to make yourself more accountable? Feel free to tag @LessPlasticUK and use the hashtag #PlasticGameChanger – I’d love to hear of your plans! 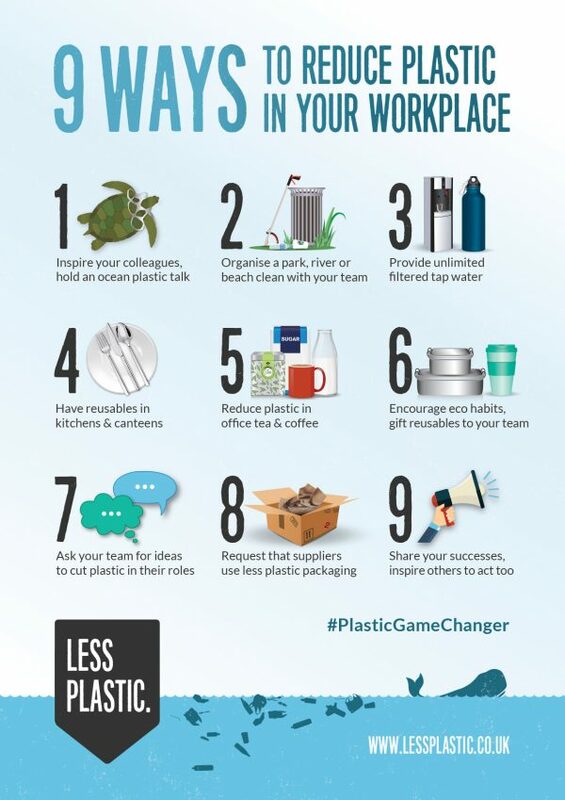 If you’d like more inspiration to help you use less plastic in your organisation, see my 5 Steps to Become a Plastic Game Changer framework. I also offer talks and workshops to help organisations accelerate their plastic reduction efforts. 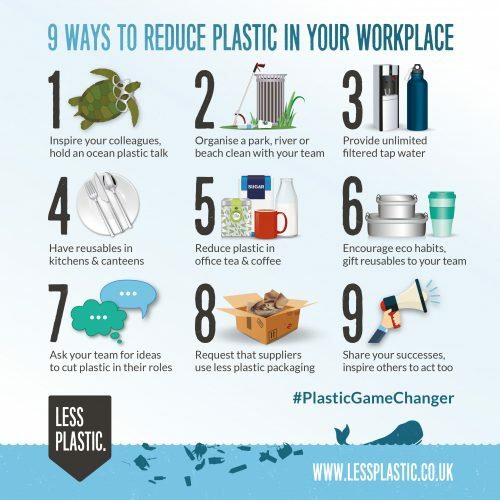 My NEW book ‘Plastic Game Changer: The Five-Step Method to Reduce Plastic at Work, Positively Impacting People, Planet and Profit’ is due to launch on 5th June 2019 – sign up to my email list to be reminded when it is available. 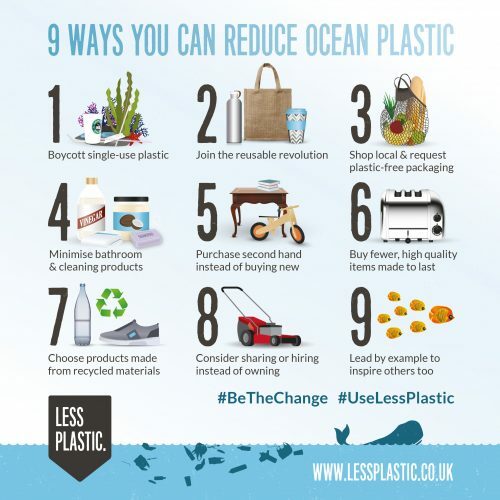 In addition to reducing your personal and organisational plastic use, there are many other ways you can make a difference to the ocean plastic crisis. YOU have the power to make a difference to plastic pollution. But if we are going to protect the beautiful places left on our planet, there’s no time to lose. 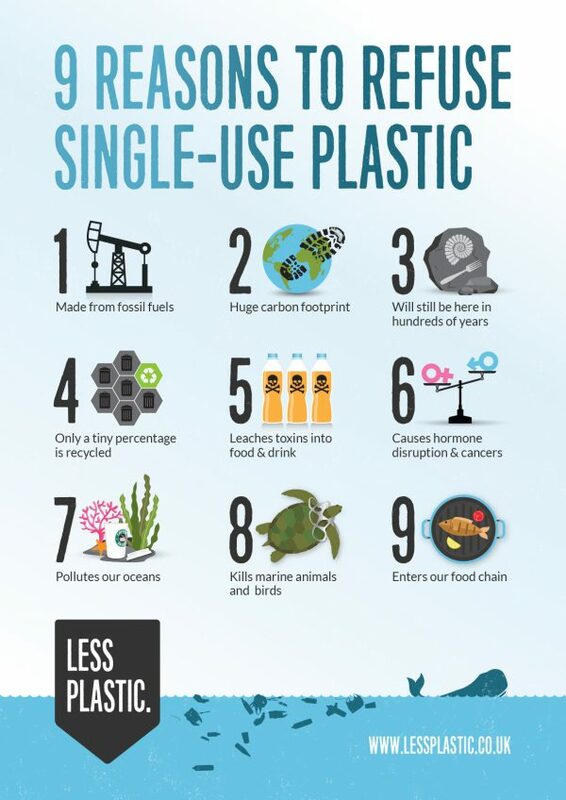 Make a meaningful contribution to humanity by pledging to use less plastic in your life and at work, starting today! 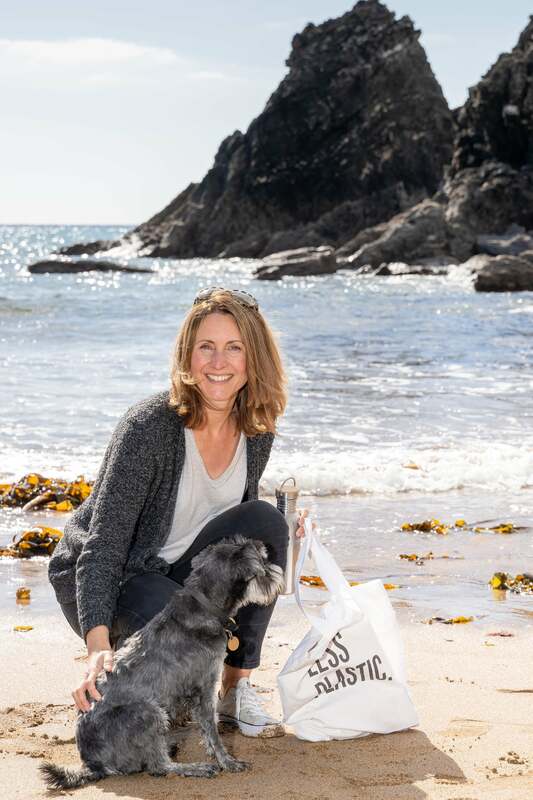 Amanda Keetley founded Less Plastic in 2015 to raise awareness of the ocean plastic crisis and inspire individuals & organisations of all sizes to use less plastic. She offers talks and workshops sharing practical tips to reduce plastic in your personal life, as well as her 5Ps framework to become a #PlasticGameChanger in your organisation for far-reaching impact that delivers long-lasting change. She is also writing a book, organises monthly community beach cleans and leads her local Surfers Against Sewage #PlasticFreeCommunities campaign in her hometown. You can find her on Twitter, LinkedIn, Facebook and Instagram.